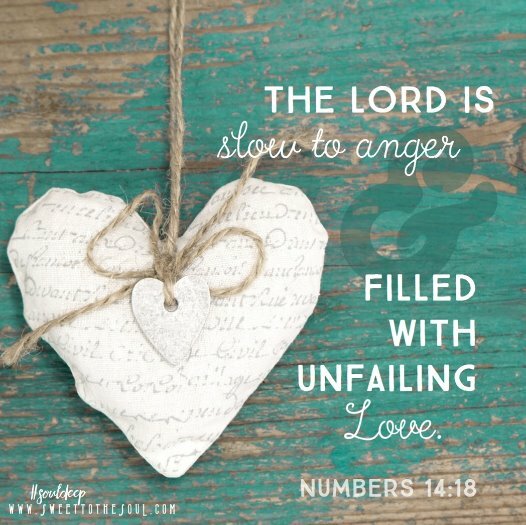 "​The Lord is slow to anger and filled with unfailing love." If only I could be the same. But usually I am quick to be angry and slow to show love, especially when a friend or family member’s words or actions hurt me. I can recall, on more than one occasion, my reaction to the pain of my freshly wounded heart. Words that whip like a sharp knife make fresh lacerations on top of newly formed scars from the insults inflicted by the same “friend” some months earlier. ​Yet fury is a poor bandage for an injured heart and an angered soul. ​Instead, prayer is a remedy. When someone gives you a hard time, respond with the energies of prayer, says Matthew 5:44. ​But, how do we pray for those who hurt us deeply? What do we say when wounds run deep? ​1. Begin by being reminded of the pain of God’s love for you. Jesus, a man who suffered, who knew pain first hand (Isaiah 53:3) knows what you are experiencing and he has endured pain inflicted not only by other people but by us. ​2. Pour out your anguish and anger in front of God. Speak honestly to him about your feelings. These are strong emotions. The Psalmist did not hold back. Nor do we need to. In your honesty, you can still be respectful to God; you just don’t need to look respectable. Then be deliberate, and look out for the healing he offers in the day-to-day moments of your life. ​4. Work on trying to forgive the person who has wronged you. Ephesians 4:26-27 says: "In your anger do not sin: Do not let the sun go down while you are still angry." 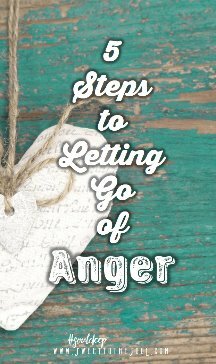 We can take this instruction literally and make an effort to let go of our anger before we go to bed, or we can make a commitment to not stay angry, but to work through it in prayer, even though we find it difficult. Ask God to help you forgive the other person. 5. Believe in God’s protection of you. Hold tight to God’s promises. Write them out and keep them in a handy place. Or memorize these two verses. Repeat them when you feel fearful. Day after day I prayed for the relationship that gave me so much agony. Eventually my anger subsided, and forgiveness took its place. Now, this relationship is no longer fraught with antagonism. It seems my friend’s heart has changed. I know my own heart has softened. What pain and anger do you need to pray about? We all have difficult relationships in our lives that just don't seem to get any better. 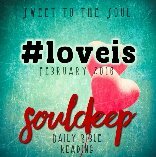 Jesus instructed us to love each other, even those who ill-treat us, so this is what we are going to try and do. 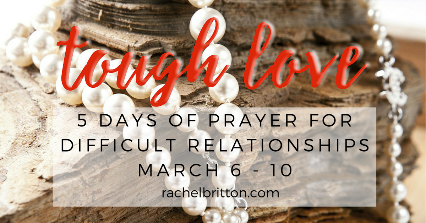 Click here to visit the Tough Love Prayer Challenge page for details and to sign up. Wise words and I love the 5 steps! They place our focus right where it should be...on God and letting Him do the work as He does best! Thank you Rachel! Rachel, thank you for sharing so transparently here, friend. We can all relate. Your 5 steps are so wise, grounded in God's Word. Often when friends fail me or let me down, I remind myself that only Jesus is my Forever Faithful Friend. He's the one who never fails, and it does help to bring our wounds to him! 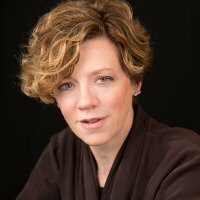 Betsy, I love that name for Jesus - Forever Faithful Friend. Perfect.